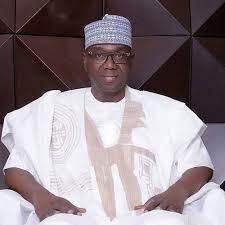 Mooro elders express confidence in Kwara governor elect, as Bode saadu youths appreciate Mooro elders – Royal Times of Nigeria. 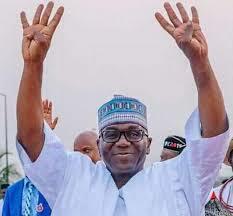 The chairman of Concern Elders Movement of Mooro local government of Kwara state, Isiaka Ayinde Jimoh has reiterated his trust and belief in the incoming government of the in the government of the All Progressive Congress. Speaking today while receiving delegates of the Bode-Saadu youths progressive union , the chairman called on the incoming government to attend to the plight of the Mooro community which he said had been documented and will be presented the governor elect , Alhaji Abdulrasaq Abdulrahaman after his swearing-in. While speaking on the Ohoro of Shao and the Oba of Jebba, the chairman who lamented that the obas have been neglected for many years without being upgraded, expressed satisfaction with the way APC won the election in Kwara state. He added that Mooro local government has been neglected for many years as the local government continue to face with bad roads, portable water crisis , poor school infrastructure among others. Presenting a congratulatory letter to the mooro concern Elders Movement on behalf of the the Bode saadu youths progressive union and all concerned people of Bode saadu , the secretary of the union , Mr Ibrahim Jamiu described the movement as freedom fighters.